Tyscot Records, the nation’s oldest Black Gospel label is ecstatic with the news of its five nominations for the 47th annual Dove Awards. Anthony Brown & group therAPy continue their year of celebration as Worth is a contender in the Song of the Year and Urban Worship Recorded Song of the Year categories. 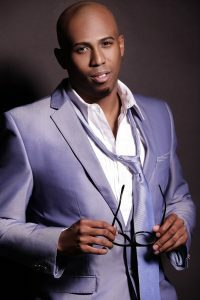 Brown was also nominated for Gospel Artist of the Year and Everyday Jesus was nominated for Traditional Gospel Album of the Year. 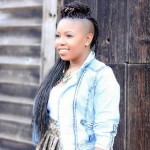 Briana “Bri” Babineaux earned her first Dove Award nomination in the newly created category of Urban Worship Album of the Year for her debut album “Keys To My Heart” that debuted at No. 1 on Billboard Magazine’s Gospel Albums sales chart this past spring. 7/05/16 @7 Celebration Of Life Church, Hendersonville, TN. 7/06/16 @7 Prince of Peace Church, Memphis, TN. 7/11/16 @7 Bethel World Outreach, Olney, MD. 7/12/16 @7 Have Life Church, Charlotte NC. 7/13/16 @7 Valley Brook Outreach Baptist Church, Pelzer, SC. 7/14/16 @7 Heritage Christian Center, Jacksonville, FL . 7/18/16 @7 Dothan High School, Dothan, AL. 7/19/16 @7 TBA, Columbus, MS.
7/20/16 @7 Showers of Blessing Church, Hammond, LA. 7/21/16 @7 TBA, Dallas, TX . Atlanta’s Marquis Boone in a short time has gone from new kid on the block to music powerhouse. His Marquis Boone Enterprises has racked up 6 Billboard #1 singles in the last year from breakout artists Casey J and Bri (Briana Babineaux). Casey J’s meteoric rise begin with her doing what she does best, serving as Worship Leader at Fresh Start Church in Duluth, Ga. Her rousing rendition of Fill Me Up wowed the attendees in Sunday Worship to the point that Boone had her record it and serviced the song to radio. Fill Me Up connected with audiences nationwide hitting #1 on the Billboard radio chart and spending some 14 non consecutive weeks in the top spot. Her debut CD, The Truth was released taking the top spot on the Billboard Top Gospel Albums chart and making way for the second single, I’m Yours to spend some 4 weeks at #1 on the radio chart. 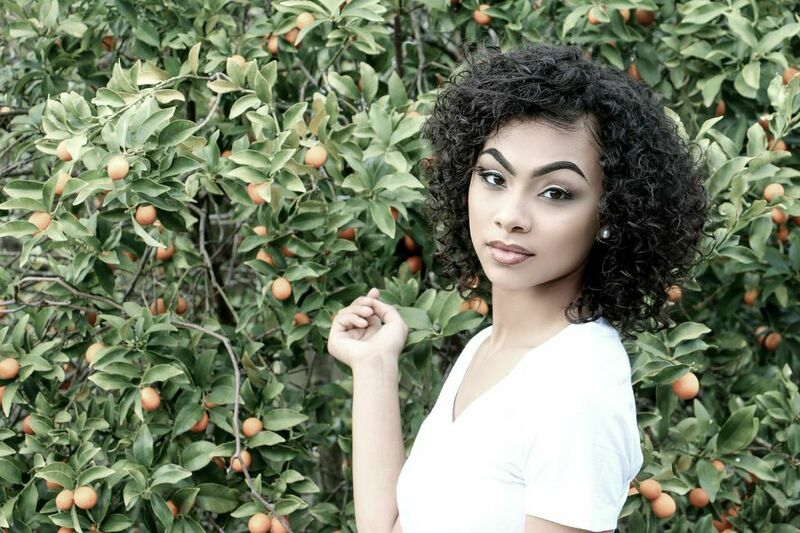 Marquis discovered Bri (Briana Babineaux) via a social media posting of her singing Tonex’s Make Me Over. The Youtube video amassed over 1.5 million views. Boone quickly signed her and recorded I’ll Be The One and made history. 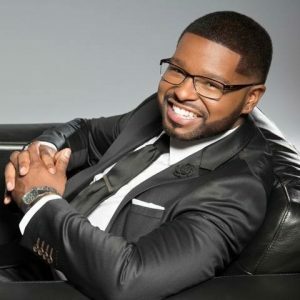 The song made Bri the the first artist to debut in the #1 spot on the Digital Gospel chart without aid of radio airplay, a national television appearance or prior sales history. Keys To My Heart held the number 1 spot on the Billboard Gospel albums chart for 2 consecutive weeks. The ever athletic singing sensation and recently engaged Bri Babineaux will head to the Staple Center to sing the National Anthem as the Los Angeles Sparks take on the Phoenix Mercury on June 17th. In addition, Babineaux will perform during the half time show. The high school and college basketball and track star actually earned a track scholarship to McNeese State University, but all that changed after she was discovered via a YouTube post. Babineaux released her debut project, Keys To My Heart (Marquis Boone/Tyscot Records), which fans readily received and made it #1 on Billboard’s Top Gospel Albums chart. Its been a good year for Tyscot Records and the blessings just continue to flow. The oldest existing African American Gospel Music label began the year with a record 10 Stellar Award wins for Anthony Brown and group therAPy. The radio hit Worth from their Everyday Jesus project spent 21 non-consecutive weeks at No. 1 on Billboard’s Gospel Digital sales chart. The album also received three Billboard Music Award nominations. Newcomer Casey J continues her reign holding down the top spot on the Billboard radio charts with her current radio single I’m Yours, and internet sensation Bri (Briana) Babineaux made her Billboard Top Gospel Albums chart debut at number 1 and held on to the top spot for another week with the release of Keys To My Heart. In honor of their 4 decades in the business, Tyscot will release “Feel Good! 40 Years of Life Changing Music,” a fifteen-track compilation featuring some of the label’s top acts past and present, in celebration of the historic recording firm’s 40th anniversary on April 29th. 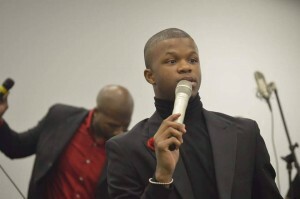 16 year old Kelontae Gavin made waves when his Youtube video performance of I Won’t Complain went viral, garnering some 575,000 views. Marquis Boone , the mastermind behind the success of Casey J and social media sensation Bri Babineaux received a clip of his performance and immediately began to make inroads to sign him. “It was a long process getting Kelontae to become part of MBE because of his age but after many emails, phone calls and conversations with his parents we are thrilled and ecstatic to be trusted with such an awesome talent and we at MBE are ready to position him to be a new breakout artist,” says Boone. MBE is set to re release Higher, a single from Gavin’s 2014 digital EP later this year. Showing the world that music is a family affair, Briana Babineaux and her kin folk rang in the New Year singing praise to God. The impromptu medley included the hymn When We All Get to Heaven p aired with The McClurkin Project’s 2006 hit “As Long As There’s You”. Bri shared the moment on her Facebook and Instagram pages and her loyal fans bore witness with 75,000 likes within twelve hours and has now generated over 70,000 shares and over 2.8 million views. Bri will make several appearances across the US including her first time at the Stellar Awards and a concert in Montreal, all leading to the March 25th release of her debut Keys To My Heart for Marquis Boone Enterprises/Tyscot Records. Marquis Boone Enterprise s/Tyscot Records recording artist Bri (Briana) Babineaux releases her new EP I’ll Be The One featuring the Billboard Top 20 single coupled with 4 other tracks . The social media sensation is making the rounds doing concerts and radio across the country in support of the EP release. The full length CD is scheduled for a Spring, 2016 release. 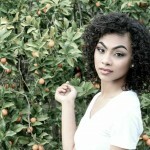 Gospel music fans can’t get enough of Marquis Boone Enterprises latest signee Briana Babineaux. The internet sensation’s debut single I’ll Be The One was released on June 9th and made its way to #5 on the iTunes Christian/Gospel Top Songs. Be sure to catch Briana on the upcoming season of Bobby Jones Gospel airing this fall. 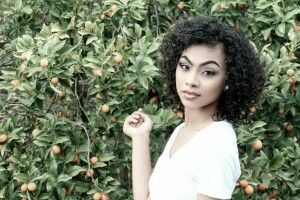 20 year old Bri Babineaux wowed audiences with her rendition of Tonex’s Make Me Over. Posted on Youtube by a friend, the video went viral and was seen over 200,000 times. A staff member brought Bri to the attention of starmaker and Casey J manager Marquis Boone and he grabbed the opportunity to sign her. “Marquis Boone Enterprises (MBE) is so excited to acquire such an amazing talent as Bri,” says Marquis Boone, President of Marquis Boone Enterprises. “We take pleasure in introducing fresh new voices to the world and this young lady’s voice is beyond spectacular. I knew from the first time I heard her that the world needed to meet her.” A radio single is being prepped for release this summer with an EP slated for the fall.